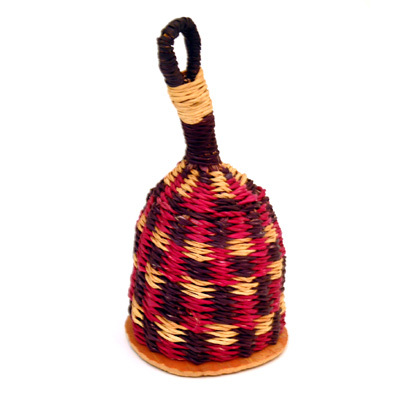 A loud basket rattle from Ghana or Indonesia. Colours vary. Average Height: 17 cm.